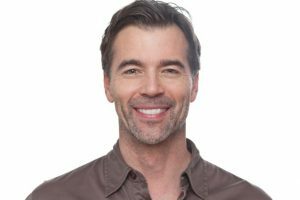 At Randolph Dental Care, we provide a wide range of services for our patients, including areas of specialty, like treatment for sleep apnea in Randolph. Sleep apnea is categorized as a sleep disorder, which affects more than 25 million adults in the United States. The disorder causes numerous pauses in breathing frequently while sleeping. While there are various factors that increase your risk for the disorder, such as obesity and age, there is also another connection. There is evidence that TMJ (temporomandibular joint disorders) and sleep apnea often go hand-in-hand. In the past, the two were often viewed separately. However, there is evidence that both conditions may be caused by the same underlying factor. Sleep apnea and TMJ disorders are two very different conditions. Sleep apnea causes pauses in breathing numerous times per night due to an obstruction of the airway. This obstruction causes inadequate oxygen levels and poor sleep quality. When left untreated, serious complications develop, such as Cardiovascular disease, Digestive issues, Reflux, High Blood Pressure, Type II Diabetes, increased Cortisol levels (Fight or Flight), sleep deprivation, and potentially death. On the other hand, TMJ disorder is a problem with the temporomandibular joint. When the joint functions incorrectly, many painful and uncomfortable symptoms develop, such as jaw pain, ear pain, migraines, and headaches. Often, the two conditions are treated separately. But, research shows that the two may actually be connected to one another. The epidemic of misaligned and discrepant dental occlusions has led to an increased presence in many chronic conditions, including sleep apnea and TMJ disorders. Archeological studies have confirmed NO dental malocclusions prior to the industrialized revolution. Prior to then, children were breast fed (which aids the development of the upper jaw) and then switched to hard foods, which further enhanced its growth. Now, newborns, if breast fed at all, are switched to soft foods and bottles, which keep the tongue away from the roof of the mouth. The result is underdeveloped upper jaws, small nasal passages, and crooked, overcrowded, and misaligned teeth. When the upper jaw is deficient, the lower jaw is hindered as well. Small development of the lower jaw further effects the teeth position. When the teeth do not fit together correctly, the lower jaw may fall backward, causing the airways to become restricted. In addition, when the mandible is not properly aligned, it can cause dysfunction of the temporomandibular joint. Treating both conditions is fairly similar, allowing significant improvement in both areas. With children, the consequences are severe. The child never sleeps a day in their life, leading to failed growth, erratic behavior, mental impairment, and subsequent diagnosis of ADHD. Mouth breathing causes enlargement of the Tonsils and Adenoids and allergies, which further reduces breathing capacity. It is estimated that a majority of children on medication are really starved for oxygen. Furthermore, these medications can further enhance the problem. For more information watch “Finding Conner Deegan” on YouTube. All of this leads to a lifetime of breathing through the mouth, constricted airways, and never sleeping through the night. The consequences are an individual that is slowly suffocating. As a result, significant health consequences, including death, occur as the organs of the body slowly shut down. After undergoing sleep testing in Randolph, effective treatment can begin. The most common form of treatment for sleep apnea and TMJ involves the use of an oral appliance. An oral appliance is a custom-made device that is similar to a mouthguard. It is worn over the teeth at night to reposition the jaw forward. When used to treat sleep apnea, moving the jaw forward also brings the tongue forward, helping to keep the airways open. For children, orthodontic correction of the failed skeletal growth during development can correct the problem. When an oral appliance is used for the treatment of TMJ, the bite is improved to take strain off the temporomandibular joint. With oral appliance therapy, you can sleep soundly at night to protect your overall health while getting rid of your headaches and jaw pain for an improved quality of life. At Randolph Dental Care, we treat both sleep apnea and TMJ after undergoing sleep testing in Randolph. If your conditions are related to a poor bite, we offer the effective treatment you need. Contact our office today to schedule a consultation.